I made this fun quilt using Moda's 30's Playtime fat quarter bundle that I got at www.fatquartershop.com. 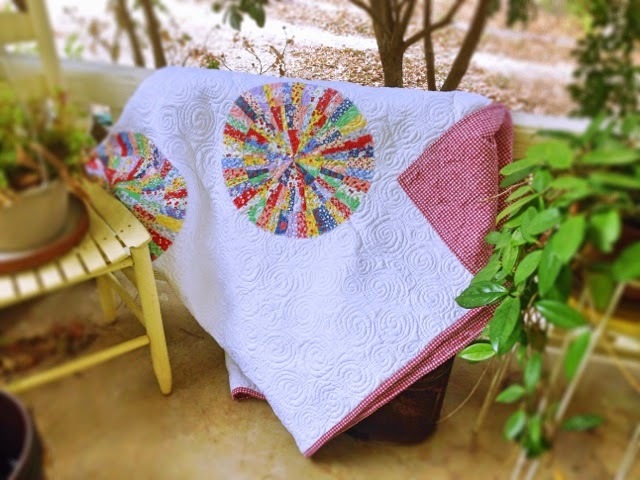 The paper pieced pattern for the circles I found in the book "Quilts with a Spin" by Becky Goldsmith and Linda Jenkins. 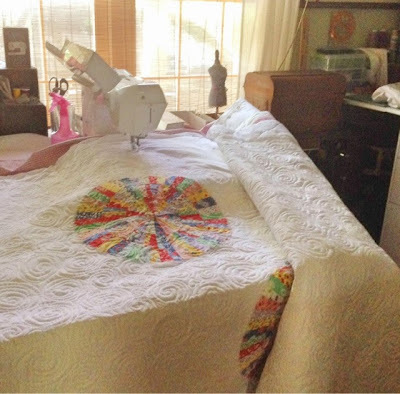 The pattern for the circle is from a quilt named "Everyday Best". I fell in love with the circles and love the way they contrast with the solid white background. I backed it with a red and white gingham... so cute!